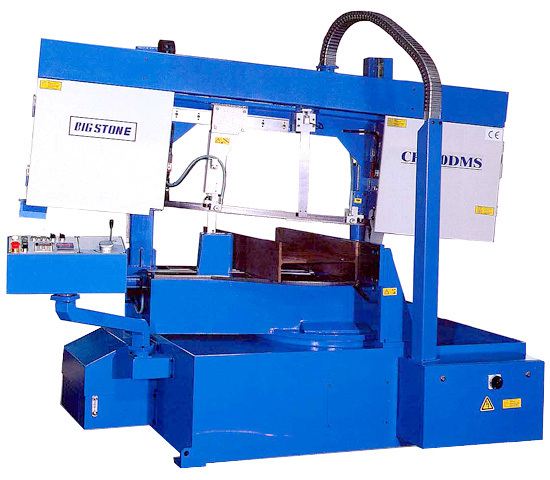 Semi-Auto Miter Cutting Band Saw (CF-700DMS) - Big Stone Machinery Co., Ltd.
(5) HSS Saw blade 1 pc. (6) Tools with tool box. Swivel head allows mitre cutting at any angle from 60°left to 45° right. Swiveling the head at any angle with digital readout to 0.1° accuracy and hydraulic swivel lock. Extra heavy duty twin column design. 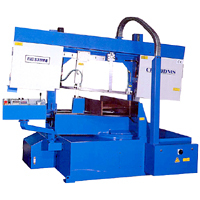 The saw blade is angled at 5° to allow fast cutting of structural sections and to maximize blade life. Split vise clamping system allows users to feed material from either side of machine. Laser line being projected a line on material. Fitted with 41mm wide blade for cutting larger sections.